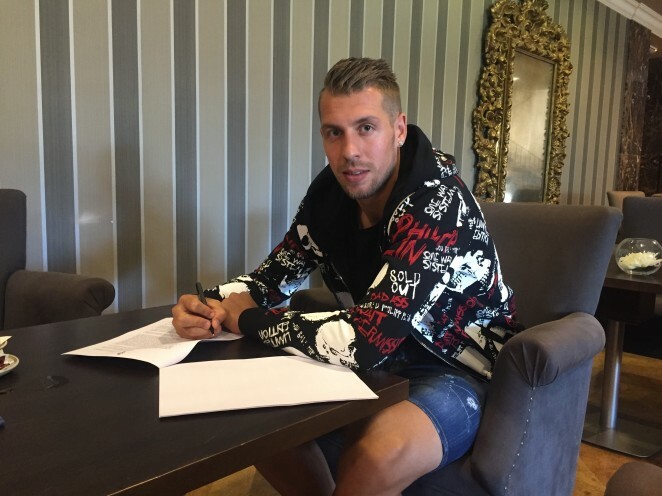 Florian Lejeune is a new player for SD Eibar, and will be for the next four seasons once the agreement is signed between the armero club, the player, and his team of origin, Manchester City. The French central defender (Paris, 1991) has played the last two seasons with Girona FC, the last of which on loan after the Catalonian club transferred him to City in the summer of 2015. In his first two seasons with Girona, in which he played two unsuccessful play-off matches that kept them from ascending to the First Division, Lejeune played a total of 81 games and marked a total of 8 goals. Previously, the 1.88 metre tall, 81 kilo French footballer played for the French teams Istres and Brest, and the first and second team of Villarreal CF, which allowed him to play two First Division matches in the 2011-2012 season.